The only tech Awards show that matters, the T3 Awards, is this Thursday evening at London's vibrant Ministry of Sound, with 2018's best technology set to be celebrated in style, across a whopping 521 categories. So that the Awards doesn't end up being an all-night rave, we're revealing many of the winners in the run-up. This year has seen a plethora of top gadgets released and nowhere more so than in the mobile technology arena, which has seen amazing innovation in mobile products, accessories and software. What follows here is a celebration of the big T3 Award winners in the categories of Best Mid-Range Phone, Best Mobile Accessory, and Best VPN. We list the winners, why they impressed our judges so much, and also pay tribute to the other quality products that just missed out. 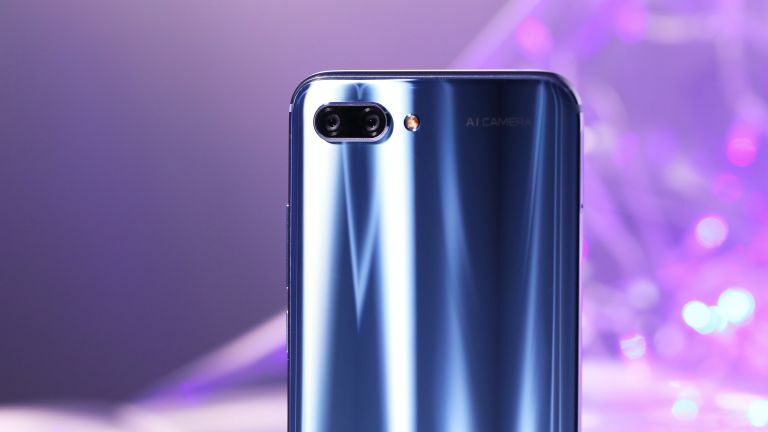 It would be unfair to say the Honor 10 came out of left field, as Honor had first turned T3's head with the release of the "bargain of the decade" Honor 9 and, shortly later, the equally impressive Honor View 10, too. However, there's no doubting that when we got the Honor 10 in our hand, it was definitely a landmark moment in terms of smartphones in 2018, as the phone simply delivered on every level and at a fantastically affordable price point. As we noted in our Honor 10 review, the fantastic core hardware spec, which includes the fast Kirin 970 CPU, accomplished, AI-toting camera system, and bright and crisp 432ppi screen are impressive enough. But when you consider that the Honor 10 delivers this and much more too, including a stunning selection of "Phantom" colourways, fast Mali-G72 MP12 GPU with Honor's own advanced GPU Turbo tech, and spacious 128GB internal storage drive, too, and does so for a price point under half that of rival, equally equipped devices, it really hammers home how game changing the Honor 10 is. A celebrated, worthy winner of our Best Mid-Range Phone award! Highly commended: Nokia 6.1. We hailed the Nokia 6.1 as a "budget bargain from one of mobile's most loved names" and after much praise during the voting process it's easy to see how this device, more than any of Nokia's 2018 range, embodies why everyone is talking about how "Nokia is back". T3 first went hands on with the brilliant Anker PowerWave at Mobile World Congress 2018, where it proceeded to scoop our prize for the Best Accessory in Show. It's two attractive design flavours, PowerWave 7.5 Pad and PowerWave 7.5 Stand, were just the first thing to impress us, with the product's ability to deliver up to 10W of fast charging juice and compatibility with both Apple and Samsung fast charging standards definitely making us sit up and take notice. The PowerWave also uses the Qi wireless charging standard, meaning it is compatible with the vast majority of other maker's devices, while it also has a rather unique trick up its sleeve. Both the Pad and Stand come with an integrated cooling fan that helps keep the docked phone and charger itself cool by automatically adjusting its fan speed dependent on the sensed temperature. This means faster charging (and cooler mobiles). Very smart. A quality, advanced mobile accessory that isn't proprietorially tied down to just one device, this is a worthy winner indeed. It was not surprising to us here at T3 when the judges dubbed ExpressVPN the best VPN in the world in 2018, as the service currently sits snugly right at the top of our best VPN buying guide. It deserves to be there, too, as ExpressVPN has 148 locations in 94 countries, dedicated, easy-to-use apps for Windows, Mac, Linux, iOS, Android, BlackBerry, Amazon Fire TV sticks, Apple TV, PS4, Xbox and even routers, too, as well as a series of well thought out tutorials that really help you make the most of the service. P2P is also fully supported and super fast, allowing you to torrent using the maximum bandwidth of your broadband connection, and while there is no free trial like some other VPN services, ExpressVPN is very reasonably priced, allows for three simultaneous connections at once, and comes with a 30-day money back guarantee. It's 24/7 customer service is also a most welcome boon. ExpressVPN is the world's best VPN in 2018.